Posted on November 30, 2015 at 5:36 pm. Maintaining a healthy body with regular exercise and good nutrition is beneficial for our physical well-being. When it comes to fitness, training the mind is equally important as training the body. With regular exercise, the mind becomes ‘fitter’ which leads to improved concentration skills, greater clarity, more emotional positivity, and the ability to enjoy the moment and see the true nature of things. This winter will see the launch of our three-night Mind Fitness program which blends the expertise of our in-house experts with specialist therapies and wellness activities that have been used for centuries to calm the monkey mind and bring about a sense of stillness and peace. Each stay starts with a wellness consultation during which our wellness consultant discusses the guest’s current lifestyle, concerns and determines the areas that require most attention. This is followed by a program of treatments which have been specifically chosen to help calm and ‘exercise’ the mind. In Ayurveda, nasa hi shiraso dwaram means that the nose is a doorway to the head. Nasyam is a therapeutic treatment that uses medicated oils to gently cleanse the nasal and sinus cavities and the throat, increasing oxygenation and promoting clarity of the mind. Shirodhara is an ancient stress-releasing practice during which warm oil is poured over the third eye to calm the nerves, release stored emotions and purify the mind. In Ayurveda, it is also considered as being important for the pursuit of higher states of consciousness. It assists in treating fatigue, mental exhaustion, anxiety, insomnia, headache, excessive thinking, nervousness and many other conditions related to the nervous system. Regular treatment enhances blood circulation to the brain, improves memory, nourishes hair and scalp, assists in providing sound sleep and calms the body and mind. 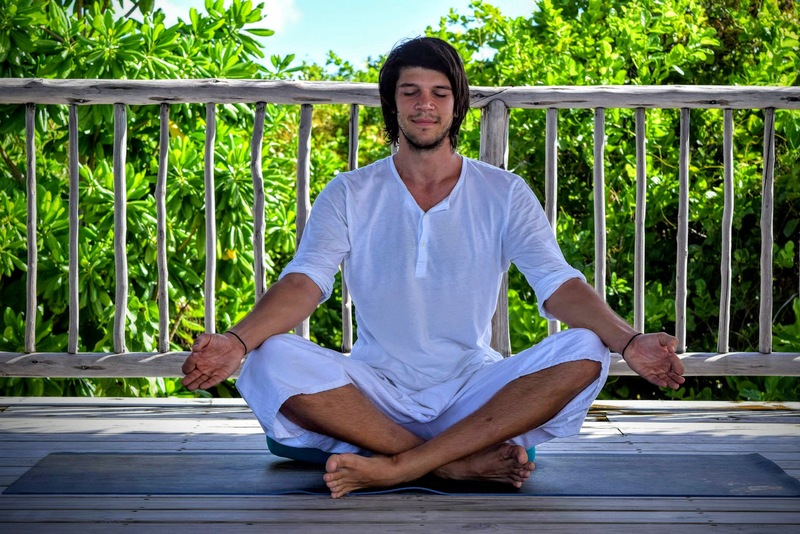 Prana (life force) yama (control) utilizes breathing techniques to remove blockages in energy channels, strengthen the respiratory system and tame the monkey mind, calming down its extrovert tendencies and minimizing the thought process. Regular practice of pranayama nourishes the nervous system and helps improve focus and memory. Regular practice focuses on being aware of every moment, sound, smell and our surroundings. This form of meditation can help relieve a variety of psychological and physical conditions such as depression, stress and anxiety. It also makes the mind strong enough to deal with daily emotional issues. The price does not include accommodation and meals and is subject to tax and service charge. Six Senses Laamu is the only resort in the Laamu Atoll, deep in the Indian Ocean, surrounded by a beautiful coral house reef. 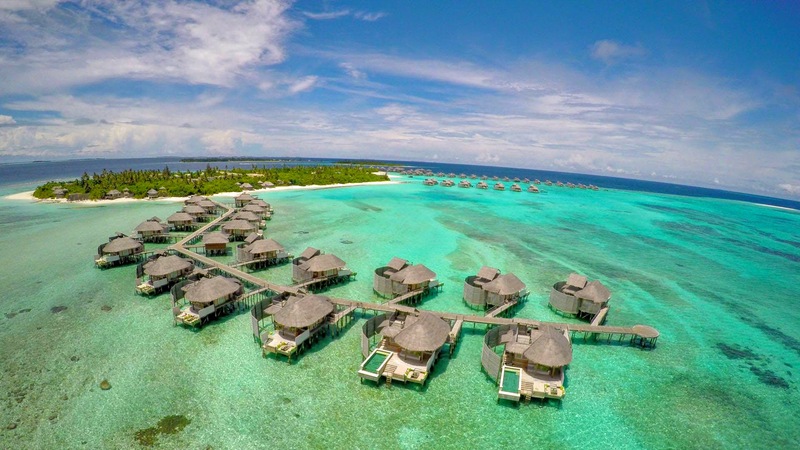 Most of the villas and facilities are built overwater, however beach villas and on-land dining is an option. All villas offer a sense of privacy and seclusion, with an amazing view to the Ocean and Maldivian nature. Six Senses Laamu offers a wide range of dining options, with cuisines from around the world,a swimming pool with a sunken bar, an ice cream parlor, an overwater wine cellar and a signature Chill bar.